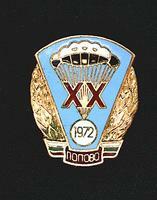 See scan - perfect condition and great enamel work. 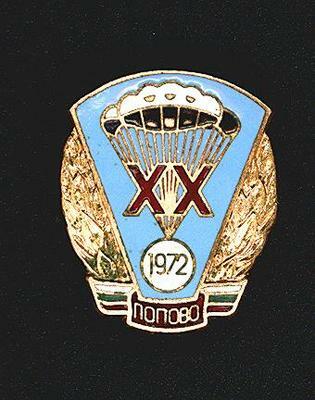 This is a nice and rare Bulgarian communist / socialist era pin presented to veterans for to commemorate 20 years jubilee anniversary of the socialist Army / Military Airborne paratrooper units in 1952. Nice and scarce militaria / military collector piece and one of the nice Bulgarian pins.